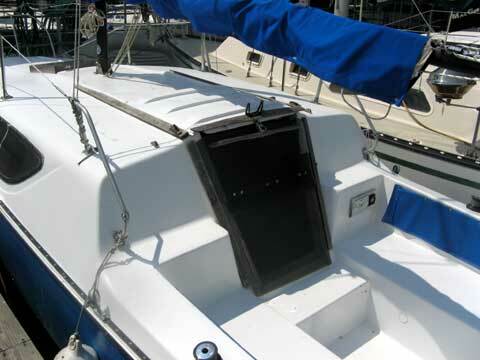 At that time making sailboat hulls from fiberglass was new so they built the hulls thick and stout. I turn the bilge pump on normally 1/year and that is usually due to rain getting in. 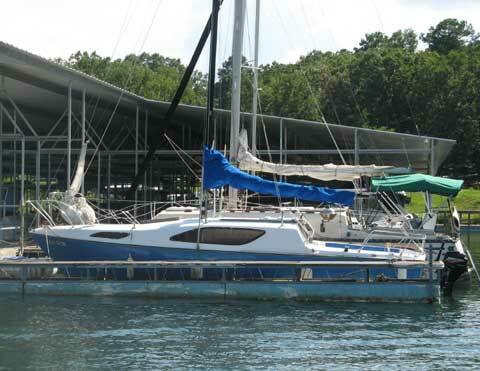 It is docked on Greers Ferry Lake about 1 hr 20 min north of Little Rock, Arkansas. L.O.A (Length over all) 25' '8"
L.W.L (length Water Line) 23' 1/2 "
Beam 8 ft 0 in. The engine is a Mercury 9.9 hp 4 cycle purchased new in May 2005, it has run about 15 hrs. All motor documents manuals provided. 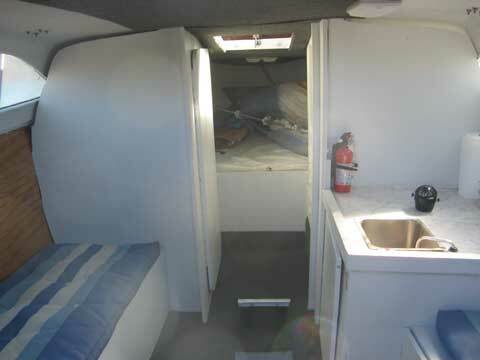 No Trailer or cradle although bunks board with adjustment brackets included. 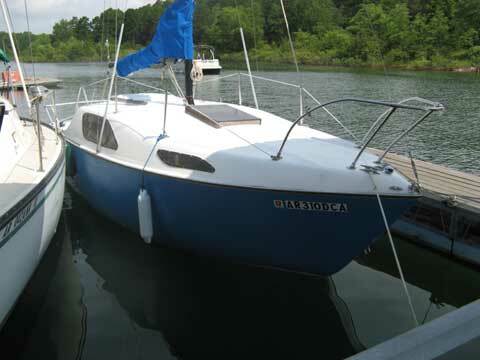 The Reinell 26 has been sold. Thanks for your assistance, I did get a call from an interested party here in Arkansas. We also advertised in the local paper and the first person to see (local add) it bought it. I think you provided a important service. Thanks for putting info on the web site about the scam crooks. We did get 4 emails from what I believe were scamers. 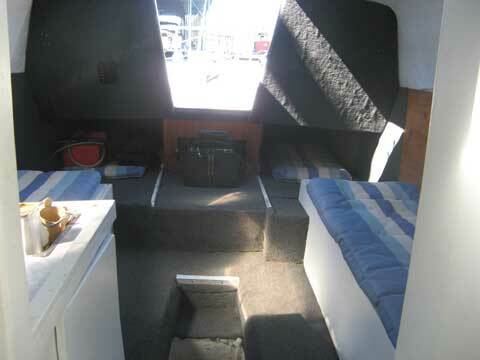 All were ready to buy the boat with little or no additional info and send money orders and pick the boat up immediately. But they didn't want to send the Money orders to a PO Box.